4k00:15BERLIN, GERMANY - SEPTEMBER 05, 2014: Low angle establishing shot of a modern looking business building. Berlin is expanding office space faster than any other German city. 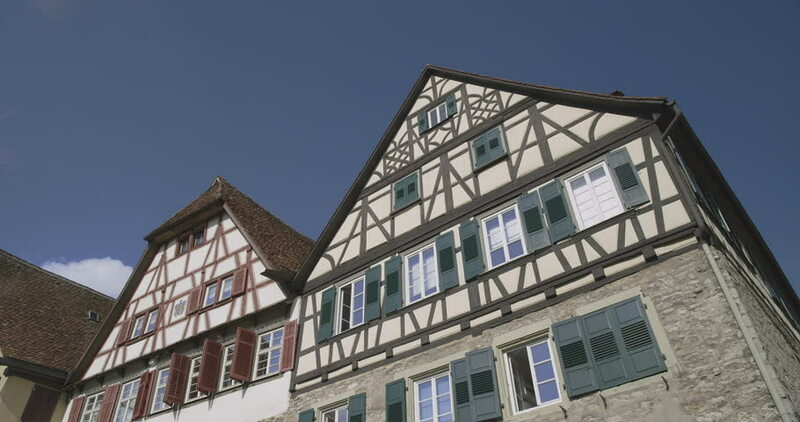 4k00:13Image of half-timbered modern house and blue sky, Germany.